Arena International is pleased to announce that the event will return for its 16th year on the 16th and 17th of October, in King of Prussia. 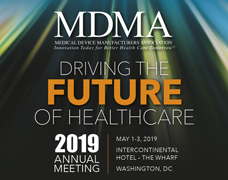 The 2018 event will welcome biopharma companies, large, medium and small from across the East coast region who got together to share knowledge and issues regarding clinical supply chain, both with regards to operational and technological challenges. Over the two days, delegates and speakers will discuss how to select forecasting and planning technology, how to reduce waste in clinical trials supplies, how to choose your packaging strategy, but we will also discover all the new technologies that will disrupt your clinical trials supplies. We will discover a fantastic line-up of speakers across various formats of presentation. The different on-stage interview, panel discussions, case study and roundtable will allow the delegates to interact with the speakers and leave with strong key takeaways to overcome their challenges.